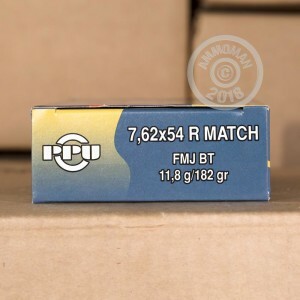 This match-grade 7.62x54R ammunition is an accurate yet economical choice for precision shooting with a Mosin-Nagant or PSL. As new production with non-corrosive Boxer primers, it is cleaner and more reliable than surplus ammo. Each cartridge in this box of 20 fires a 182 grain full metal jacket bullet and delivers excellent long-range accuracy for target shooting. 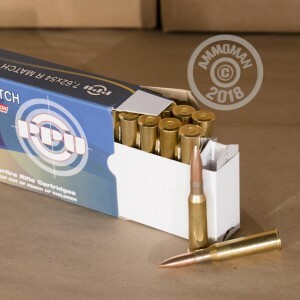 Like other Prvi Partizan ammo, it is manufactured in Uzice, Serbia using reloadable brass cases. Stock up at AmmoMan.com and save extra with free shipping on all orders over $99!